Before suing in small claims court, it is wise to send the party a letter demanding payment or a resolution. A settlement demand letter has many benefits. For instance, a letter can result in successful negotiation to resolve the dispute. Thus, you may avoid going through litigation to receive your money or property. 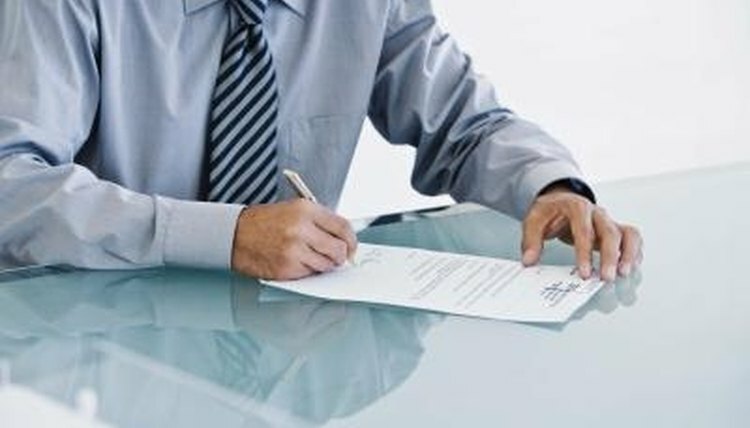 Generally, the settlement demand letter consists of a one typed-written page to an opposing party. Place the opposing party's information at the top of the letter. Typically, the information, which includes the name and address, goes on the left side of the page. Include the date. The date can go on the left side under the party's personal information or on the right side. Address the opposing party. For instance, you can use a courtesy title such as "Mr." or "Ms." and then the name. Write a brief history of the dispute Explain how and when the dispute occurred in chronological order. Keep the history approximately one paragraph in length. Transcribe the type of settlement you're offering. For example, you can include the amount of money owed or if you want them to return or fix property. If you are willing to accept a lower amount than what's owed, then specify that. Also, include the timeframe the party has to accept the offer or negotiate a different settlement. Indicate the next step to resolve the dispute if there is no compromise. You can, for instance, inform the opposing party that you intend to file a lawsuit in small claims court if no settlement is reached. Conclude the letter with contract information. Tell the opposing party how to reach you such as by telephone, letter or email to resolve the dispute. End the letter. You want to write a closing such as "sincerely" along with your name at the end of the letter. You also need to sign the letter under your name. Sewell, Demetrius. "How to Write a Settlement Demand Letter." , https://legalbeagle.com/4749226-write-settlement-demand-letter.html. Accessed 21 April 2019.